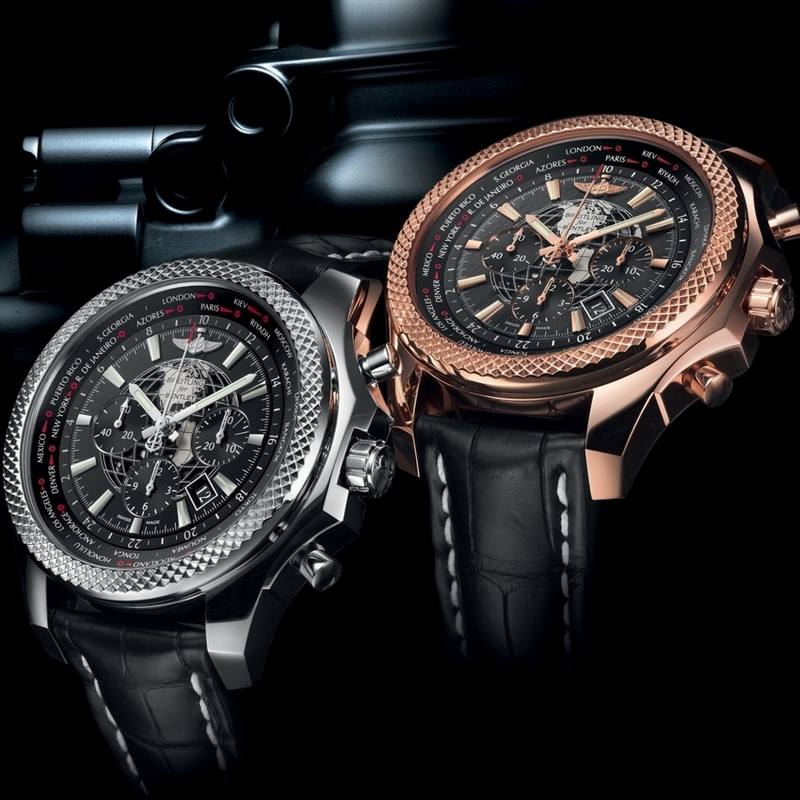 For those who have made travel a way of life, Breitling for Bentley has created the Bentley B05 Unitime, a universal time chronograph driven by a proprietary movement featuring a patented mechanism. A double disc system permanently displays the time in all 24 time zones. When changing zones, a turn of the crown forwards or back in one-hour increments adjusts the hour hand, the city ring, the 24-hour ring and even the date in one single movement. The globe that adorns the black or matt white dial is a further invitation to travel. 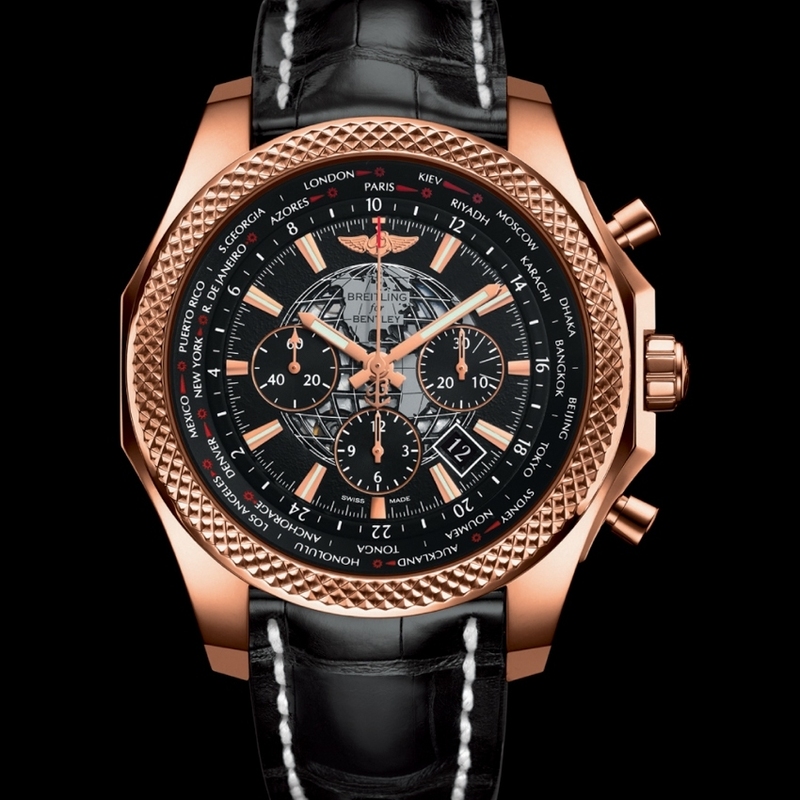 The COSC-certified chronograph movement measures exploits down to the quarter-second. Fashioned from steel or red gold, the new Bentley B05 Unitime can be worn on a metal bracelet, a rubber strap or a crocodile strap.